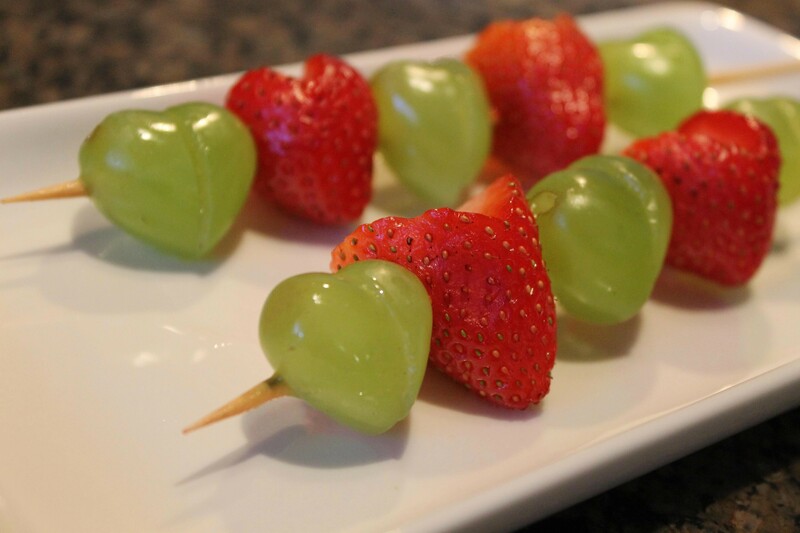 Heart Shaped Fruit Kabobs | mrs. and the misc. When I was getting married, I had a friend tell me to eat lots of fruit before the honeymoon because it makes your skin taste sweet. I don’t know about that, but it is for sure healthy for you nonetheless. Here is a festive way to serve fruit that is so fun to eat, it’s sure to sweeten up your Valentine’s Day, or to bring a little romance to bridal shower hors d’oeuvres. 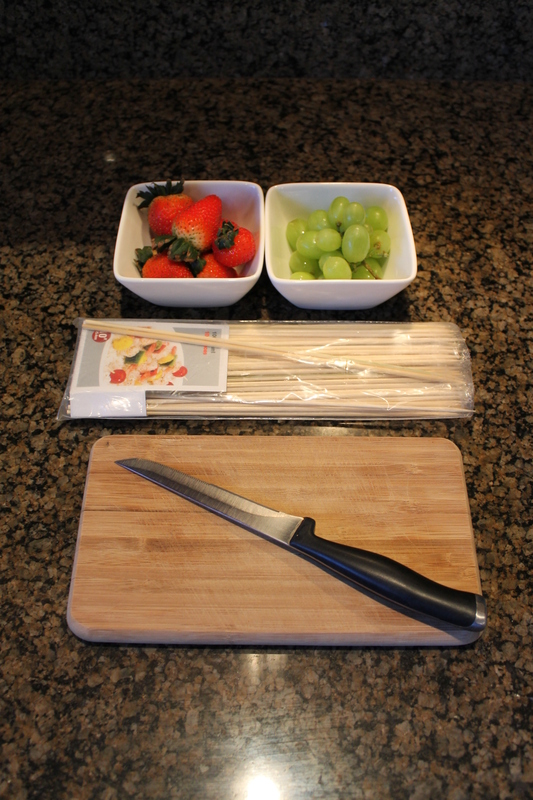 Here is all you need: Strawberries, Grapes, (you want the oblong ones, round grapes don’t work as well) and some skewers. 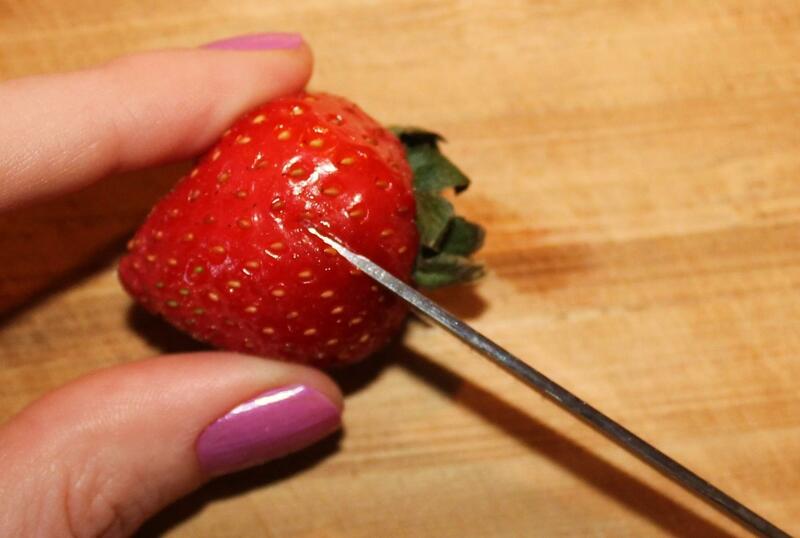 Cut the top off of the strawberries at two 45 degree angles, to create a “V” shape. 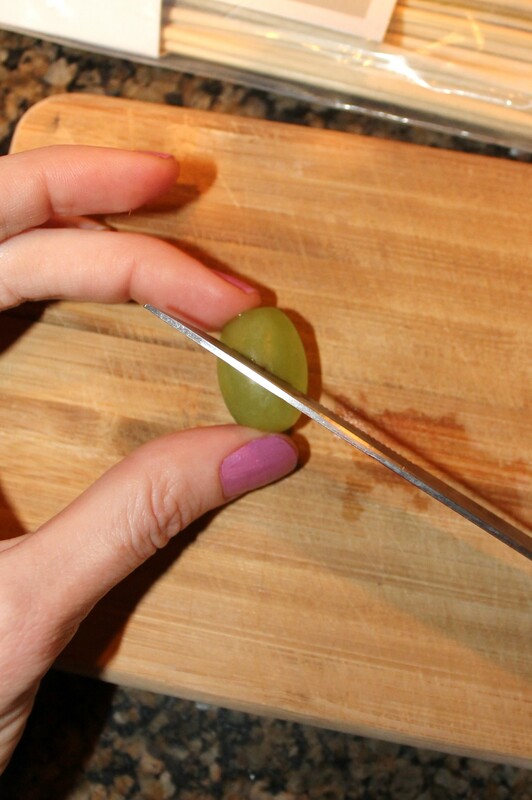 Slice your grapes crossways, also at a 45 degree angle. 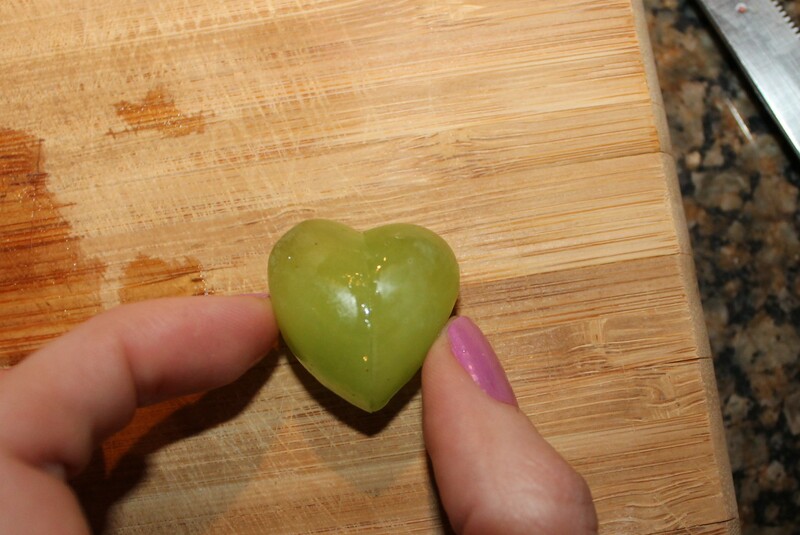 Spin one half of each grape upside-down so it makes a heart, like this. Alternate fruits until each skewer is filled. I have always found Valentine’s Day a little commercial, but it is a good reminder to be thankful for all of the loves in our lives that God has blessed us with, not just the romantic ones but family and friends as well. It’s beautiful, very well done! wish you a happy Valentine’s day !!! 🙂 I might do this for this evening !!! Awww, these are super cute and they’d be perfect for so many different occassions. I love how simple they seem to assemble. Pinning for future party planning!